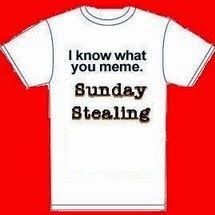 Sunday Stealing: Stealing will return next weekend. Our apologies, but we have not had a chance to steal any new memes for you this weekend. I am currently confined to my bed and simply do not have the energy to put this together for you. I feel terrible I have let you down. 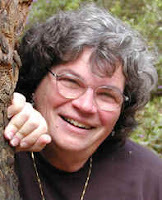 I have spent time in the hospital and am working hard at restoring myself to the normal world. 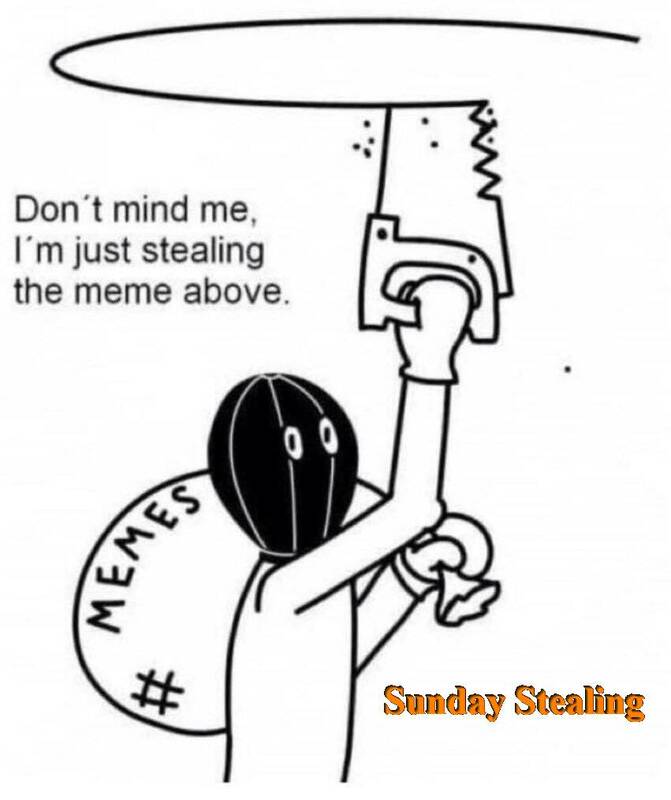 If you wish, feel free to dig into the stealing's archives and steal whatever meme you like. Leave a comment here with your link and which meme you stole. I'm sorry again. And I hope you have a wonderful weekend. Get Well Mr. Lance! Re-cooperate! I did two parts of the 5000 Question meme on my blog today-Saturday, and came here to find that you've been in hospital! MON DIEU! Feel better soon....holler if you ever need a back up. Hi, i'm sorry you're not feeling well :( I stole last weeks sunday stealing since i didn't do that one. I just started doing this meme and i enjoy it, so thank you and i hope you feel better soon. Oh, Lance, don't worry about it! 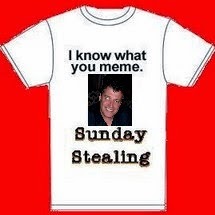 Of course your Stealing meme is a big part of our weekend blogging, but we care about you as a person, too. Take care! I've now done Parts 1 and 2 of the 5000 meme. Feel better. We'll all be here when you're up and about again. Oh no! Feel better very soon! sorry your sick. feel better. can''t wait for your next post. Yikes!!! SO SORRY!!! Feel better soon! Oh my, that 5000 question meme is going to be a lot of work, extra point for you for getting it done! I need your email address, I wish that had of dawned on me last weekend :) I will be knocking! Thank you for the well wishes, Welcome to the game!